10 Hands On Geography Activities - Look! We're Learning! I’ll be honest: I’m not much of a hands-on learner. My kids love kinesthetic learning, especially since several of them have ADHD. Despite my ADD though, I’m still a traditional book learner. Seeing how my kids respond to hands-on learning, though, has made me make a change. So this year, we’ve been doing a LOT more hands-on activities, including some for geography. 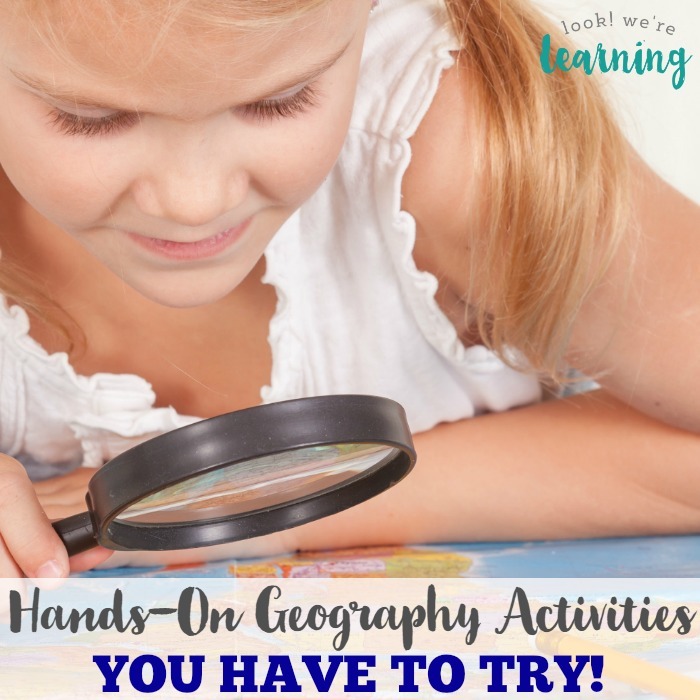 Check out these 10 Hands On Geography Activities you just have to try! Make a craft based on a local culture in the area you’re exploring. See how we did this by making Kente-cloth inspired placemats during our study of the Asante Empire! Learn about the animals that live in the region. Gift of Curiosity has a great game that lets kids place animals in their correct continents! Participate in a postcard exchange. See how Planet Smarty organized one to get postcards from people all over the world! Have kids make a craft about their world. Learn how to make a My Place in the World craft with your kids at Kid World Citizen! 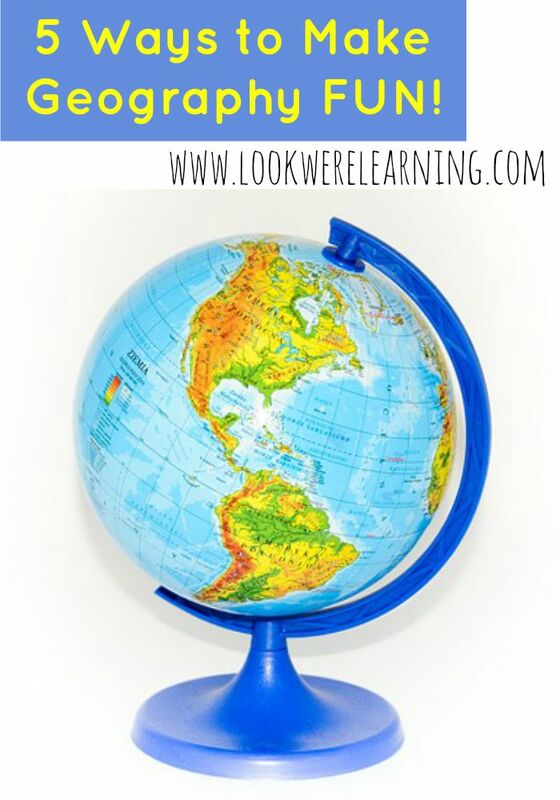 Use a globe to teach kids to identify countries. 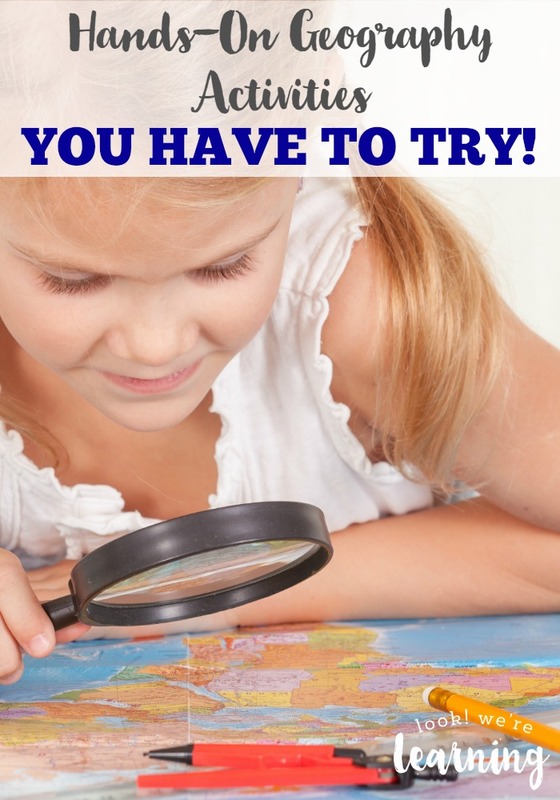 No Time for Flashcards shares a simple game you can use to help kids find countries on a globe easily! Create a miniature habitat. When we studied beaches, we made a beach shoebox diorama that the kids really enjoyed! Make a salt dough map. Tina’s Dynamic Homeschool Plus shows you how to make a map of South America out of salt dough, plus there are printable map flags to add! Bake a cookie dough map. If you want to get even yummier, make a map out of cookie dough! Raising Lifelong Learners shares how to make a cookie dough map of India! Help little ones make a sandbox community. Preschoolers will love this sandbox activity from Books and Giggles that lets them make their own town! Mail a Flat Stanley or a Flat Susie. Based on the Flat Stanley books, this craft lets kids make a paper person and mail it around the world! Get the details from Busy at Home. Get more ideas for teaching geography below! And be sure to follow my Geography for Homeschoolers board on Pinterest for more geography fun! 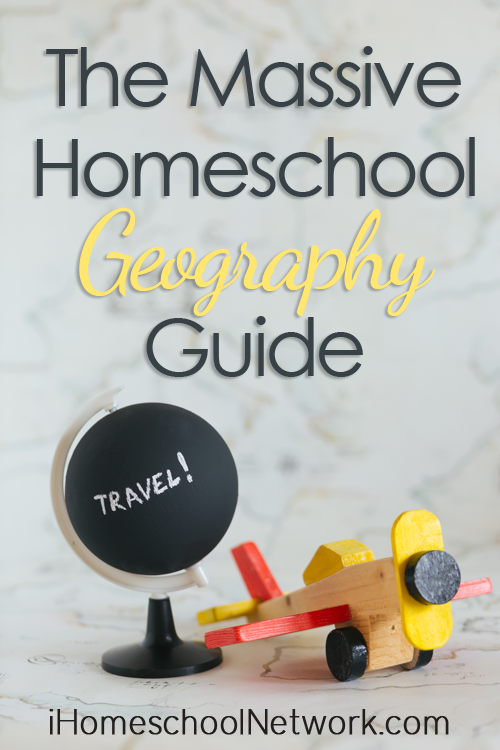 This post is part of The Massive Homeschool Geography Guide from iHomeschool Network! 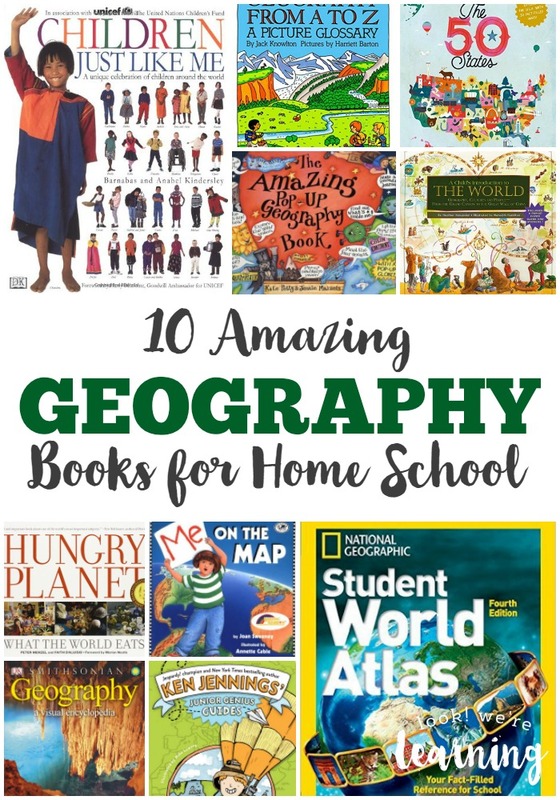 Be sure to click over and read more great geography posts from my fellow bloggers! 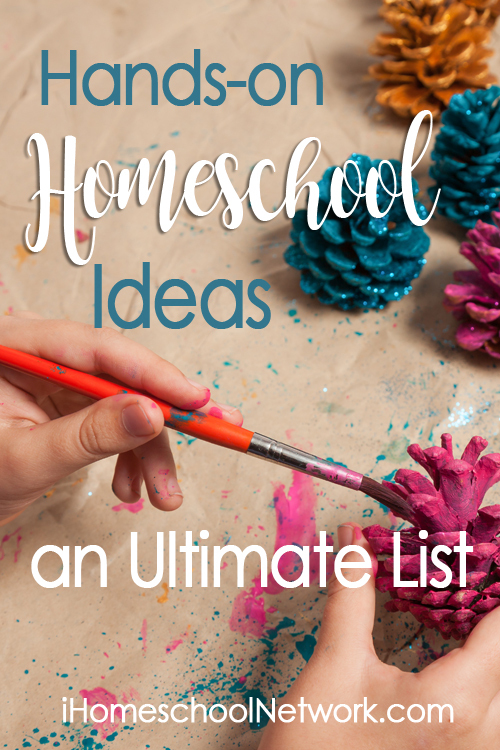 It’s also linked up at the Ultimate List of Hands-On Homeschool Ideas! Check out other hands-on homeschooling ideas to try with your kids below!